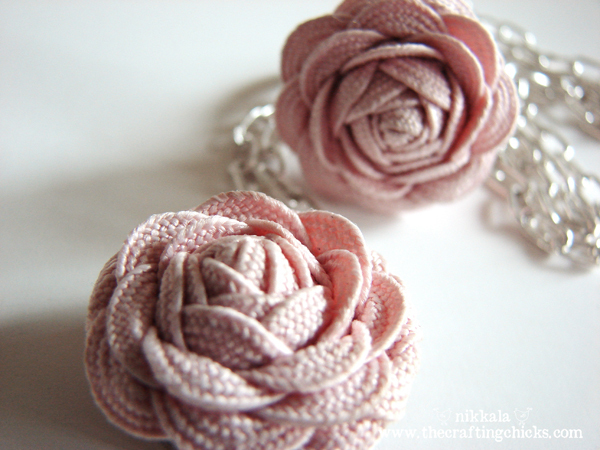 Amazingly simple to make and so pretty in pink! I have these ring blanks lying around from the resin cabochon project, now I know what I can make with them :D How‐to for these rick‐rack rosettes on The Crafting Chicks. 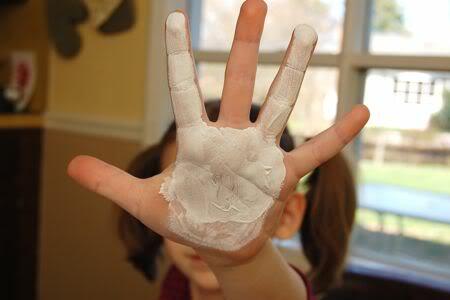 What a clever way to make a bunny handprint! 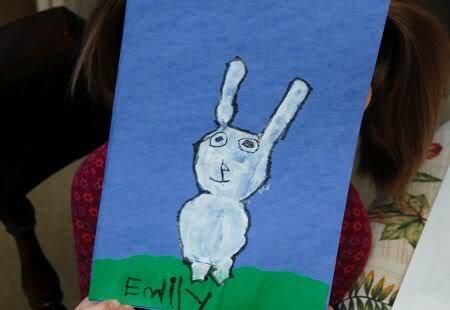 From Frugal Family Fun Blog. My old roommates had one of those small fondue pots that are heated by tea lights, and we’ve had both cheese and chocolate fondue on a number of occasions — but this! This is the best dessert fondue yet! It’s cupcake fondue! Isn’t it just brilliant? Perfect for a tea party. I imagine it would also work well with those cake pops that are all the rage right now. I’m rather intrigued by how one could form a sphere out of cake batter, though I’m more of a cake‐slice or at least a cupcake person myself. Eating a single bite of cake just doesn’t make sense to me. Unless one is supposed to enjoy multiple cake pops in one sitting? What is the proper etiquette when cake pops are served? … anyway, I digress. Cupcake fondue recipe on ModCloth Blog. How cool are these? They would make such a cool gift! Perfect with the Poladroid application, which makes a regular picture look like a Polaroid picture (and it’s free!). Tutorial for Polaroid magnets on Ambrosia Girl. Build a super fun super Mario magnet board for some real life super Mario actions! All the characters and props are available to download for free! From the generous and awesome people at Laboratory 424. 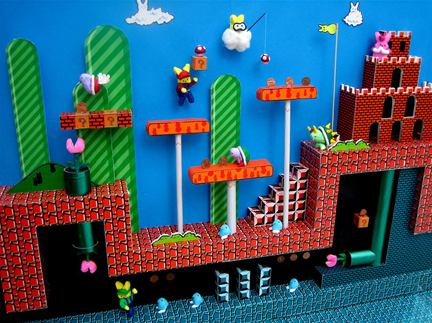 And how about a Super Mario diorama, made with marshmallow peeps? Just one of the many entries in one of the many peeps diorama contests. The ones in the Washington Post contest are just hilarious. Can’t get enough marshmallow peeps? See the list of contests on Ohdeedoh! And finally, an epic ceramic Howl’s Moving Castle! Be sure to watch the video of the incredible raku firing process! 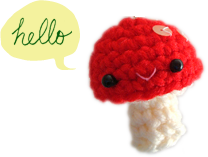 By lizzomarek on Instructables.